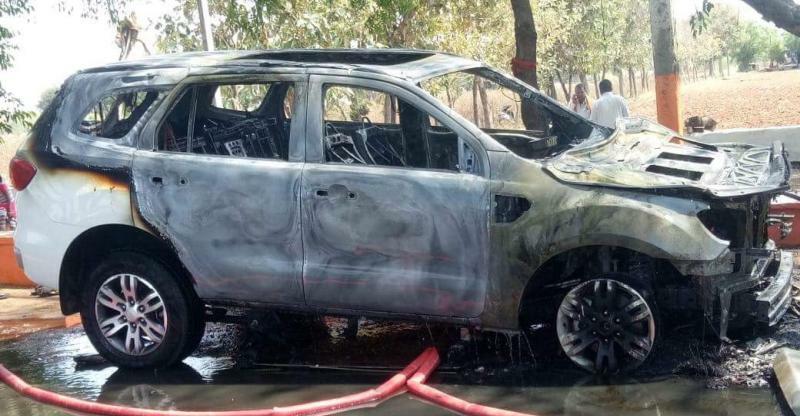 In an unfortunate incident that took place yesterday, a famous businessman and builder from Gujarat, Mihir Panchal, was burnt to death after his month old Ford Endeavour SUV caught fire. As per the available information, this incident took place early afternoon on Tuesday. As per the eyewitnesses, Mihir’s Endeavour suddenly caught fire while being driven on a public road. Mihir pulled over as soon as he noticed that his engine had been ablaze. As soon as he stopped the car on the side of the road, there was a huge blast in the car. 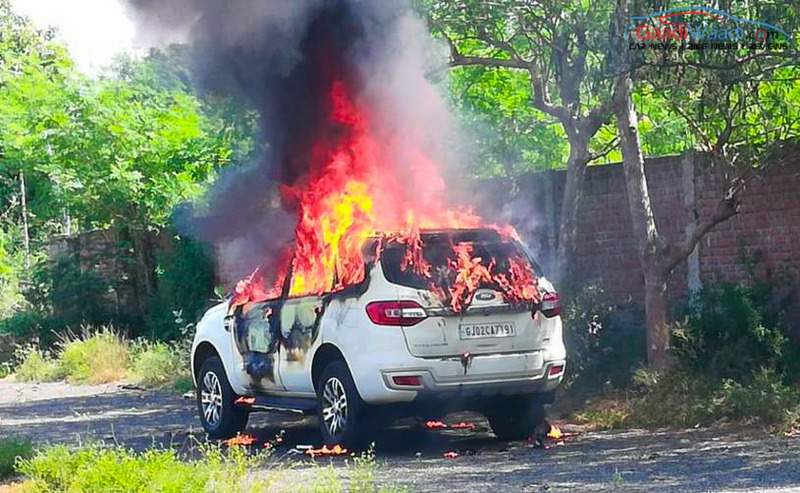 Soon, the entire front portion of the Ford Endeavour SUV was caught on fire, and soon, there was a blast. It is being said that Mihir could not get out of the car in time as his seat belt buckle had jammed. Unfortunately, because of the malfunction, the driver couldn’t leave the car on time and lost his life in the blast. While the police and the firefighters arrived at the spot within a few minutes of being informed, the SUV had burnt down by then. The local police are looking into the matter to find the reason for the fire. Strangely, this is the second such event this year of a new Ford Endeavour catching fire for no apparent reason. Back in April, a brand-new Ford Endeavour had been burnt to ashes for unknown reasons. Luckily, in the previous mishap, the passengers could escape from the car without sustaining any serious injury. It’s really sad to know that an unsuspecting owner of a Ford Endeavour has lost his life for no apparent reason. Also, we hope Ford India sets an inquiry to know about the reasons for the fire in the two cases that have happened this year. 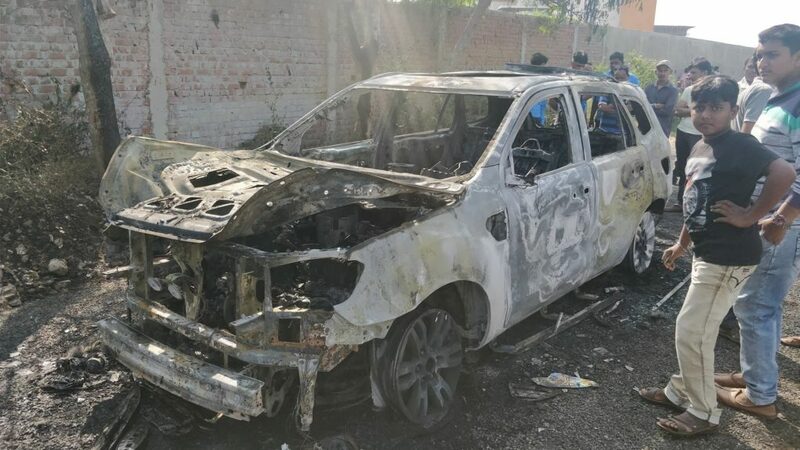 Finally, we are hoping for the police report to bring to light the reason for the cause of the fire in a few days old Endeavour SUV worth almost Rs 35 lakh.